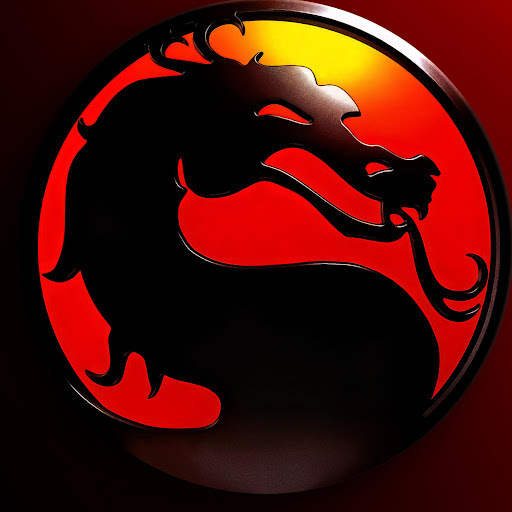 What is the Mortal Kombat timeline? Does anyone have an idea of how long the timeline is for the MK series? I'd say Mythologies and Special Forces take place about a year before the first tournament and judging by the events of MK2011, MK1-3 all seem to take place relatively close together, maybe a week or two at the most. MK4 can't come that long after, whereas the time between MK4 and DA is never really expanded on, maybe a few years? Special Forces is not canon in the least. The MK Team NEVER acknowledge it as an event in MK history (Tremor being in MK2011 notwithstanding). Just pretend that never happened. <br/> <br/>The only official acknowledgement of time is this: <br/>Sonya's MKDA Konquest Mode says that MK1 took place 10 years ago. So, at least ten years pass between MK1 and MKDA. <br/> <br/>Really, though...don't give it much thought. The MK Team sure don't. Hell, who knows if that tidbit up above is even canon anymore? RE: What is the Mortal Kombat timeline? Special Forces is not canon in the least. The MK Team NEVER acknowledge it as an event in MK history (Tremor being in MK2011 notwithstanding). Just pretend that never happened. Sonya's MKDA Konquest Mode says that MK1 took place 10 years ago. So, at least ten years pass between MK1 and MKDA. Really, though...don't give it much thought. The MK Team sure don't. Hell, who knows if that tidbit up above is even canon anymore? Mythologies occurs about two years before MK1, and MK4 takes place <strike>7 years</strike> after Mythologies. 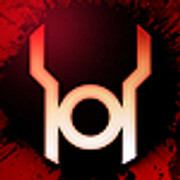 <br/><br/>And, yes, MK:DA takes place <a href=http://mkw.mortalkombatonline.com/mkda/sonya/bio2.gif>10 years after MK1</a>, followed closely by Deception (from a few hours to a few days.) <br/><br/>Armageddon occurs a few months after Deception, seeing as how many characters decided to go their own ways and focus in on new work (Kenshi quit OIA and started killing criminals in the night; Johnny realized Raiden was a psycho and then started having visions.) <br/> <br/>I'm not entirely sure the time gaps between 2 and 3, though, but I assume 3 takes place a few days/weeks after 2. <br/><br/><div class="forumQuote"><b/>RazorsEdge701 Wrote</b>: Rockchalk is close, <i>s</i>he got everything right except MK4. </div> <br/>Thanks for the information. :legacy_smile: <br/>Sometimes my memory is a bit murky. Mythologies occurs about two years before MK1, and MK4 takes place 7 years after Mythologies. I'm not entirely sure the time gaps between 2 and 3, though, but I assume 3 takes place a few days/weeks after 2. RazorsEdge701 Wrote: Rockchalk is close, she got everything right except MK4. Sometimes my memory is a bit murky. This is a @RazorsEdge question if I ever saw one. Rockchalk is close, he (EDIT: "she", my apologies, I did not know that) got everything right except MK4. <br/><br/> Mythologies is 2 years before MK1 (Source: In the official canon MK1 comic, Scorpion says he's been dead for two years) <br/> <br/>MK2 and 3 are...vague. The first three games could have happened back-to-back, but MK2 has to have happened long enough after MK1 for Johnny Cage to put "Mortal Kombat: The Movie" into production, because the reason he attends the second tournament is to get inspiration for a sequel sc<i></i>ript. And movies tend to take a year or two to make. On the other hand, Liu Kang comes home from MK1, finds his temple slaughtered, and <i>immediately</I> agrees to the second tournament so he can get revenge. So...bit of a plot hole there. 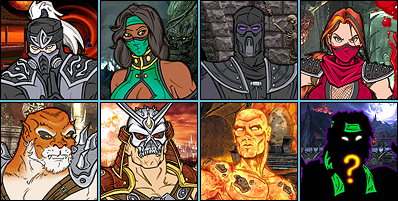 <br/> <br/>Sindel's resurrection has to have happened very quickly after the heroes returned home from MK2, because the whole reason the second tournament was held was because the resurrection was already a work in progress on Earthrealm, and they needed to distract Raiden and co. from finding out what they were doing before they finished. <br/> <br/>Promotional material for MK4 and Mythologies said they happened ten years apart. (Which would place MK4 8 years after MK1) <br/> <br/>MKDA is ten years after MK1. (Source: On top of the Sonya bio already posted, Kung Lao's bio also says Liu beat Shang "a decade ago") <br/> <br/>Deception obviously happens back-to-back after DA since it begins with the Deadly Alliance's death. Best guess for Armageddon is it's a couple months later. <br/> <br/>Other than that, there is no hard data. It's sometimes suggested MK1 happened in the year the game was released, 1992. Which would place Mythologies at 1990, MK4 at Y2K, and DA and Deception in 2002. Rockchalk is close, he (EDIT: "she", my apologies, I did not know that) got everything right except MK4. MK2 and 3 are...vague. 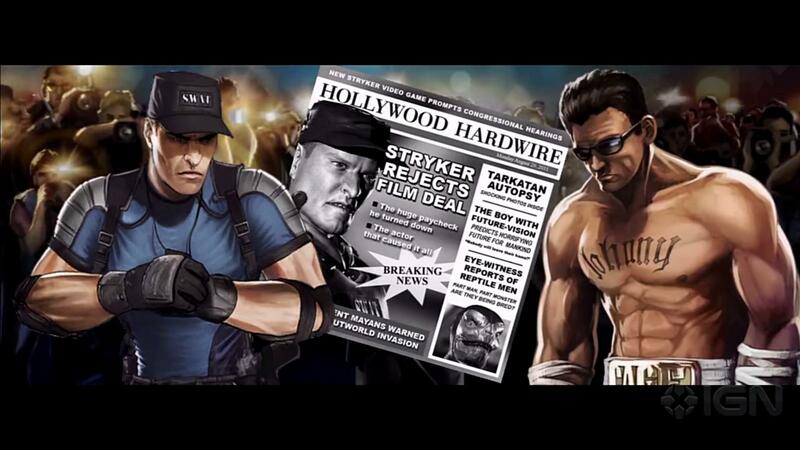 The first three games could have happened back-to-back, but MK2 has to have happened long enough after MK1 for Johnny Cage to put "Mortal Kombat: The Movie" into production, because the reason he attends the second tournament is to get inspiration for a sequel script. And movies tend to take a year or two to make. On the other hand, Liu Kang comes home from MK1, finds his temple slaughtered, and immediately agrees to the second tournament so he can get revenge. So...bit of a plot hole there. Sindel's resurrection has to have happened very quickly after the heroes returned home from MK2, because the whole reason the second tournament was held was because the resurrection was already a work in progress on Earthrealm, and they needed to distract Raiden and co. from finding out what they were doing before they finished. Deception obviously happens back-to-back after DA since it begins with the Deadly Alliance's death. Best guess for Armageddon is it's a couple months later. Other than that, there is no hard data. It's sometimes suggested MK1 happened in the year the game was released, 1992. Which would place Mythologies at 1990, MK4 at Y2K, and DA and Deception in 2002. For the sake of argument, let's say that MK1 happened in 1992. Raiden's memory-flash-reboot thing happens and MK9 would start also in 1992. The events of MK1,2+3 happen but are accelerated somewhat (just to fit the story mode of MK9). MKX's latest timeline thing happens 25 years later, so do you know what that means...? <br/>MK will have caught up with itself in real time. In 2017 MKX hype will be on the downward slope, having established itself on the tournament circuit, when the final MKX story events are set. For the sake of argument, let's say that MK1 happened in 1992. Raiden's memory-flash-reboot thing happens and MK9 would start also in 1992. The events of MK1,2+3 happen but are accelerated somewhat (just to fit the story mode of MK9). MKX's latest timeline thing happens 25 years later, so do you know what that means...? MK will have caught up with itself in real time. In 2017 MKX hype will be on the downward slope, having established itself on the tournament circuit, when the final MKX story events are set. Well MK9 takes place in an alternate timeline...which isn't terribly consistent with itself because if you can manage to get a real close look at her character model, you might be able to make out that Sonya's dogtags are slightly readable and give her date of birth as being 1960-something. <br/><br/> Which would have been accurate if MK1 still happened in '92. Her MK1 bio gave her age as 26, so her D.O.B. would be around 1966. <br/><br/> But if the tournaments and invasion take place in 2011, then she's like 40 or 50 years old. Well MK9 takes place in an alternate timeline...which isn't terribly consistent with itself because if you can manage to get a real close look at her character model, you might be able to make out that Sonya's dogtags are slightly readable and give her date of birth as being 1960-something. Which would have been accurate if MK1 still happened in '92. Her MK1 bio gave her age as 26, so her D.O.B. would be around 1966. But if the tournaments and invasion take place in 2011, then she's like 40 or 50 years old. Mk mythologies takes place two years before MK1. MK 1-3 is a few months at least. Between 3-4 some months to a year. MKDA is 10 years since Mk1. Deception is right after DA. armeggeden who knows. <br/> <br/>New timeline from MKMSZ to Mk3 basicly the same. Two years after MK 20 11 is the past portions of MKX 25 years after shinnok defeat is his return and second defeat. Mk mythologies takes place two years before MK1. MK 1-3 is a few months at least. Between 3-4 some months to a year. MKDA is 10 years since Mk1. Deception is right after DA. armeggeden who knows. New timeline from MKMSZ to Mk3 basicly the same. Two years after MK 20 11 is the past portions of MKX 25 years after shinnok defeat is his return and second defeat. MK9 - Right after Armageddon and then Raiden goes back in time to MK1-2 time. And MK Shaolin Monks its between MK1 and MK2.